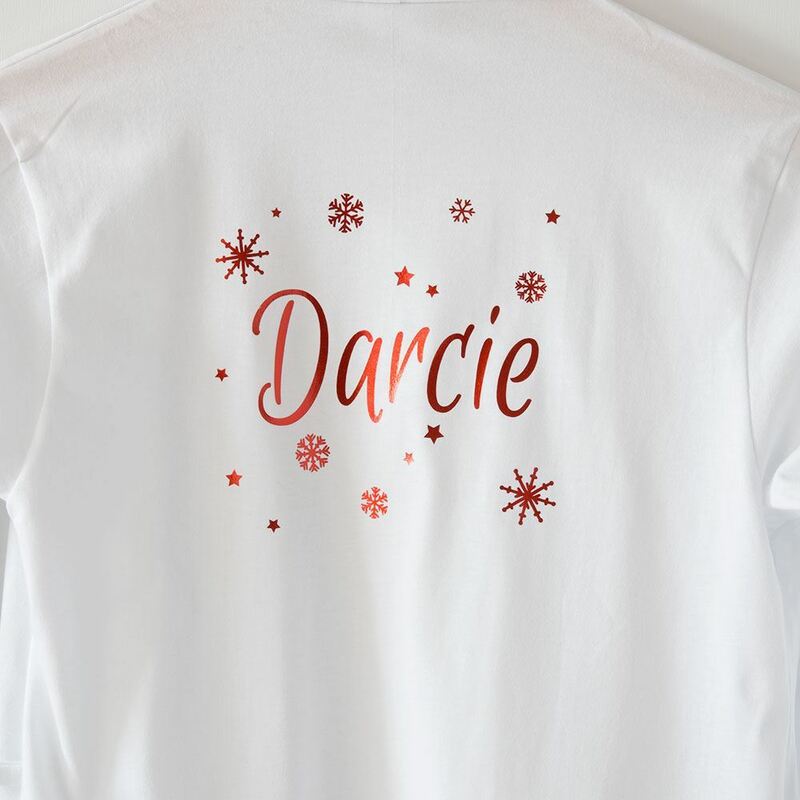 A super cute soft cotton dressing gown which comes personalised with your childs name and a pretty snowflake design. 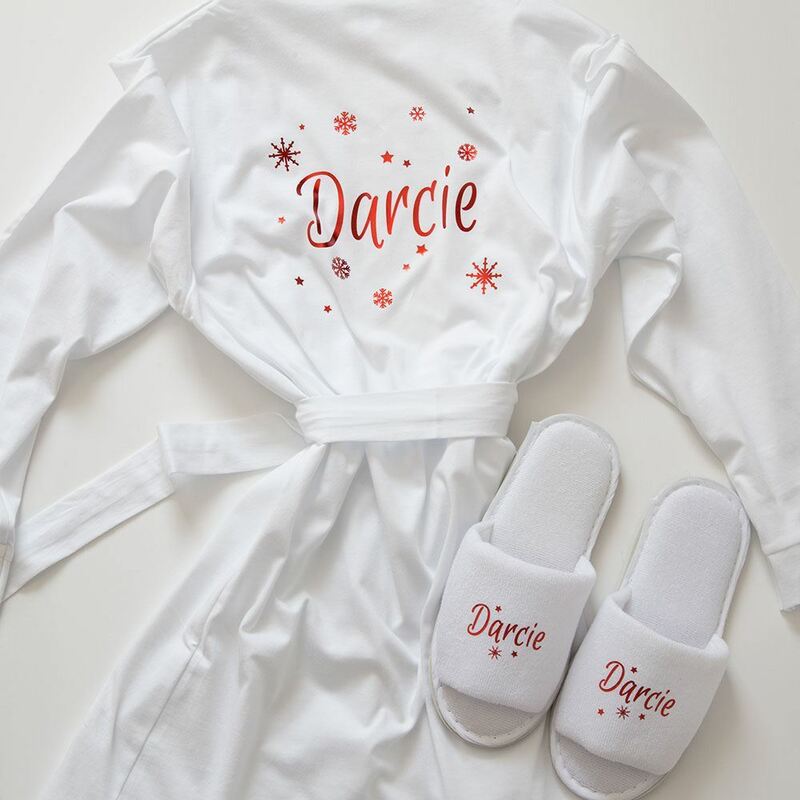 A super cute soft cotton dressing gown which comes personalised with your childs name and a pretty snowflake design. Your little one will love dressing up and keeping warm in their robe this winter. We also sell matching kids spa slippers, so your little one can really play dress up this Christmas. These cotton robes are lightweight so will keep kids warm but not too hot and are the perfect match for our Christmas pyjamas.